Langjökull is the second largest glacier in Iceland located in the Western Highlands visible from many popular attractions including Húsafell and Haukadalur. The glacier isn’t wide but it is very long which is why it was given the name Langjökull or “long glacier“. 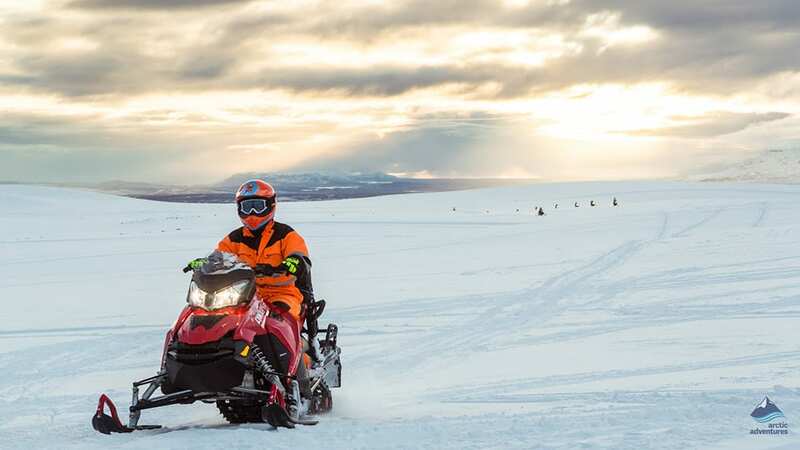 Langjökull is a popular location to visit in Iceland, being a never-ending source for adventures, explorable by Super Jeeps or Snowmobiles often including visits to mesmerizing Ice Caves! 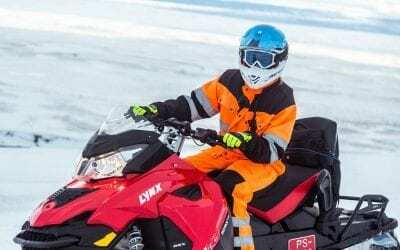 How to get to Langjokull? 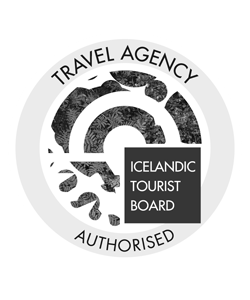 What not to do at Langjokull? Langjökull ice cap or the “long glacier” is the second largest glacier in Iceland about 953 km2 or 367.955 square miles. The only Icelandic glacier that is bigger than Langjökull is the famous Vatnajökull glacier, the largest glacier in Europe. Langjökull is quite high, its highest peak Péturshorn reaching a soaring 1,355 meters (4,445.5 ft), which places it the glacier on par with some of the highest mountains found in the country including the wonderfully named Jarlhettur (The Earl’s Hat), Fjallkirkja and Þursaborg. 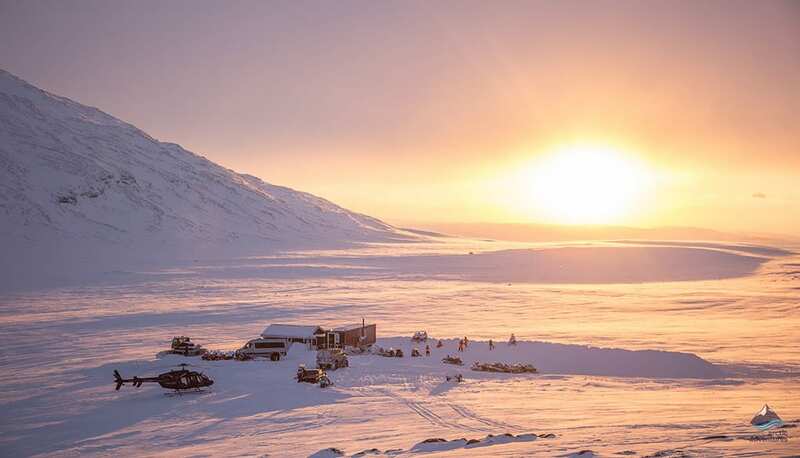 Its volume is about 196 km3 and the ice is up to 580 meters thick (1,900 ft). Langjökull lies almost parallel to Iceland’s volcanic system from North-East to South-West and is located at a very geothermally active area. 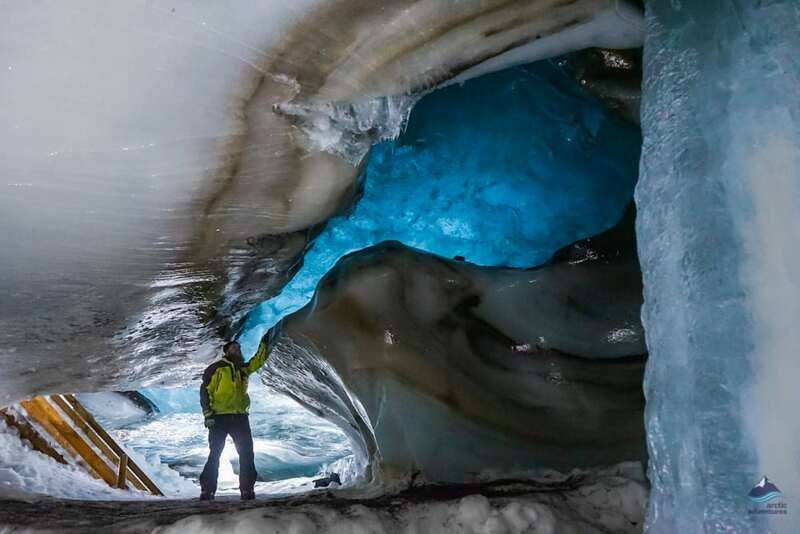 Under the glacier, two or more volcanic systems can be found that stretch out from under the glacier going in different directions. The most famous of them being Hveravellir, East of Langjökull. The glacier’s calderas are very visible and can even be seen from the air when flying over but the region is relatively quiet on an Icelandic scale with only 32 eruptions in the last 10,000 years. Langjökull was once called Baldjökull. 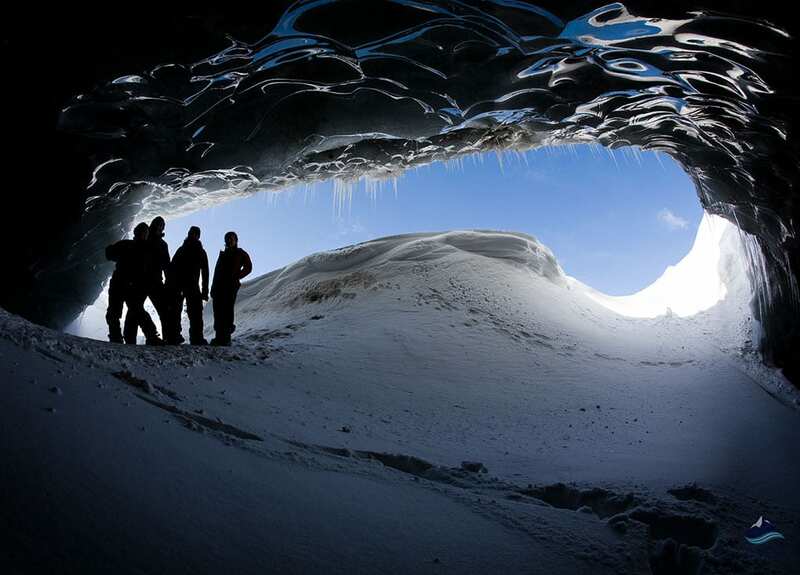 Langjökull has more than one option to visit Ice Caves. Langjökull can be visited from two different locations. From Gullfoss and from Húsafell. Some belief Langjökull to have been two or more glaciers that then merged together. 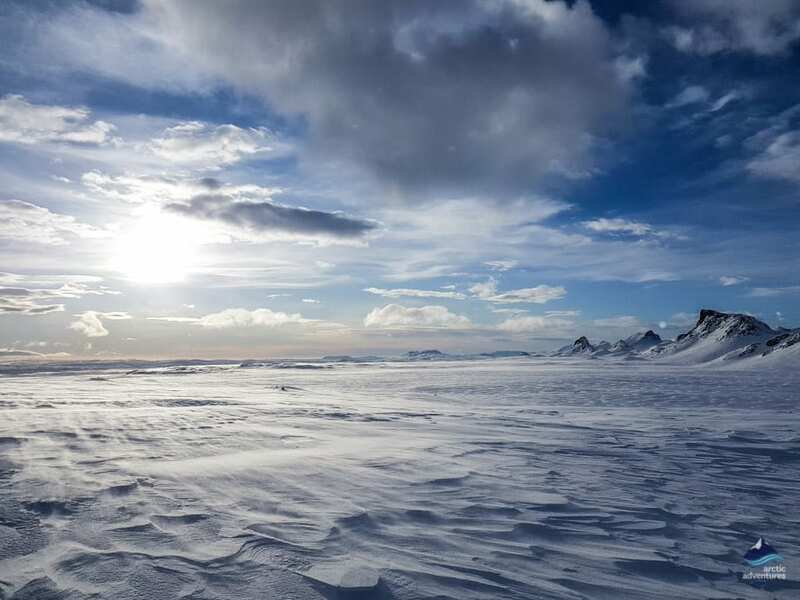 The largest recorded surface area of Langjökull was in 1840. Close to Langjökull is Ok, which once was considered a glacier but lost its glacier privilege due to its shrinking size. The Icelandic version of the planet Pluto. Langjökull is situated in the West of the Icelandic interior or in the Highlands of Iceland and can be seen clearly from Haukadalur. Langjökull is the closest glacier to Reykjavík, Iceland’s capital. 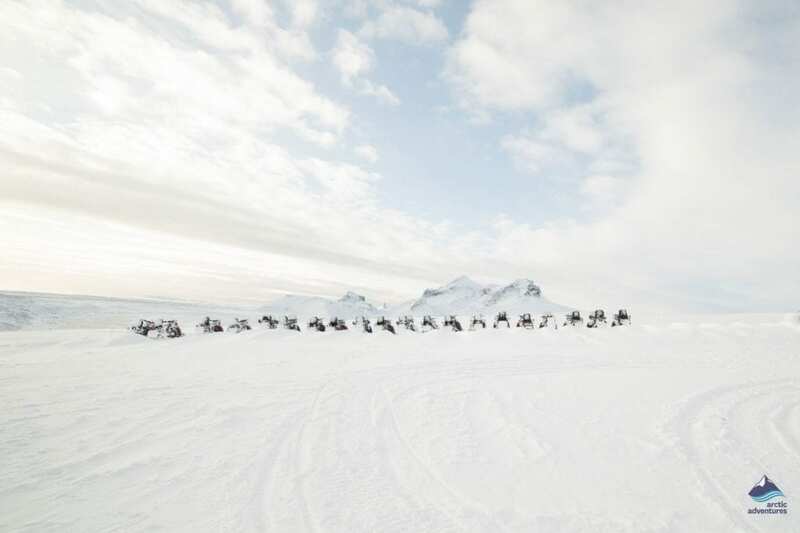 There are a few different ways to get to the glacier. 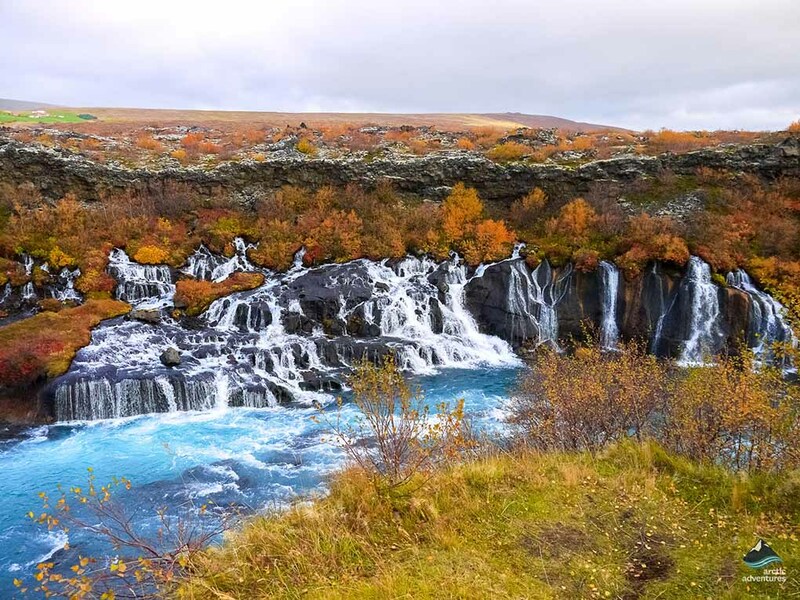 Most drive the route past Gullfoss waterfall and like to do the Golden Circle in the meantime. This route is the most popular for those who are joining a Snowmobiling tour on the glacier. 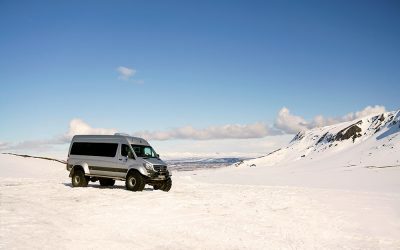 Then your options are; to get picked up in Reykjavík, to meet at Gullfoss café or, if you have a large 4×4 car, meet at the Glacier Base at the foot of the glacier. This option is only available during summertime. 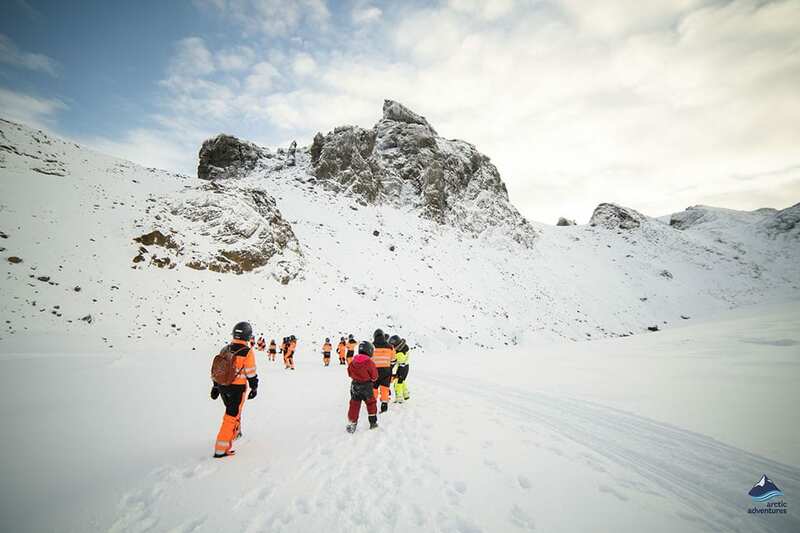 The other way is from Húsadalur for those who are joining for the Into the Glacier man-made Ice Cave Tour. If you take this route, then you drive up North from Reykjavík in the direction of Borgarfjörður. 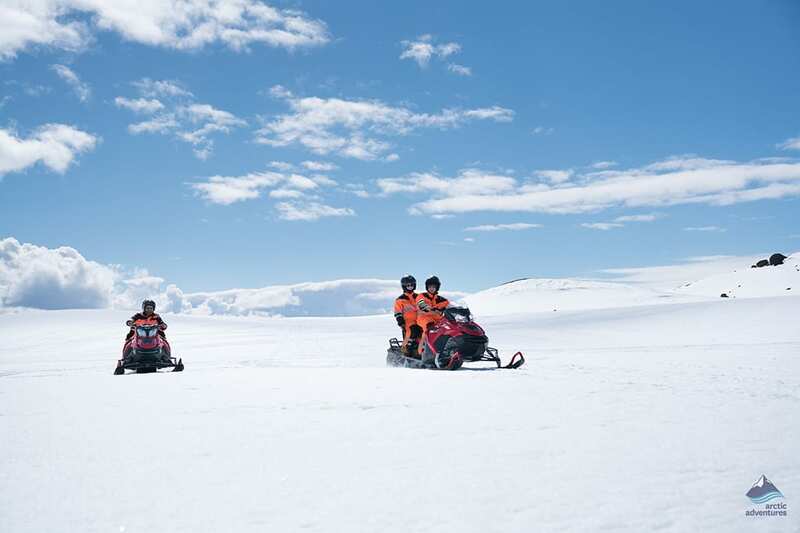 Setting foot on Langjokull Glacier gives visitors the feeling that they are walking on the roof of a white kingdom or on the roof of the world! 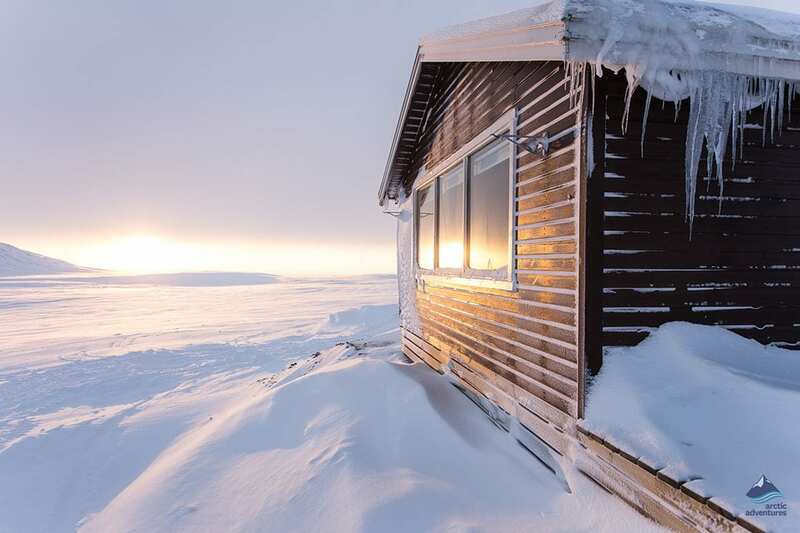 There is a special kind of spaciousness to Langjökull’s stark and majestic landscape. Langjökull glacier is famous for its amazing open landscapes and views that go as far as the eye can see. 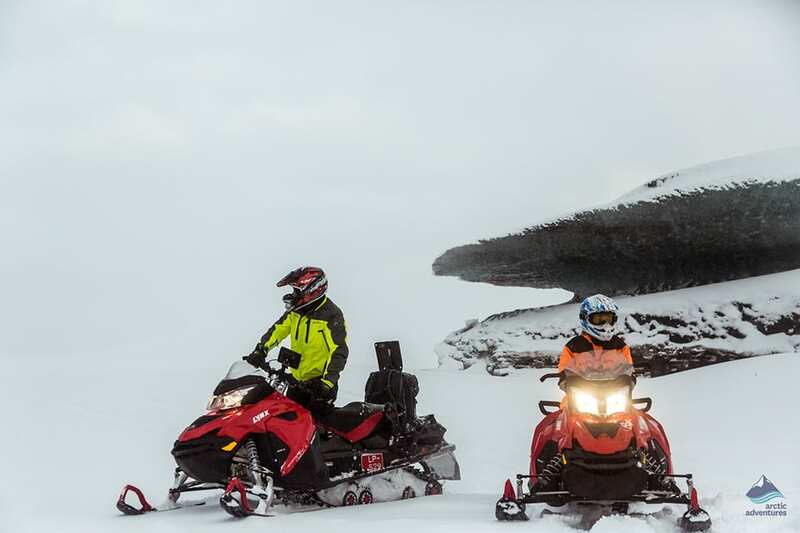 The glacier was long known as the perfect playground for the local snowmobile enthusiast but is now recognized by many travelers for the same. We offer daily departures, multiple times a day, with various pickup locations and add-ons. 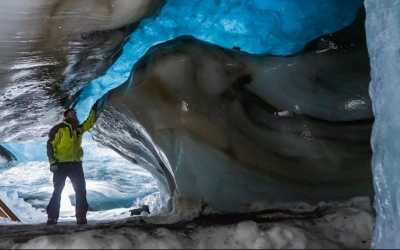 In recent years Ice Caves have been found on the glacier and many have been staggeringly beautiful. The rule seems to be that the newest is better than the last and so on. 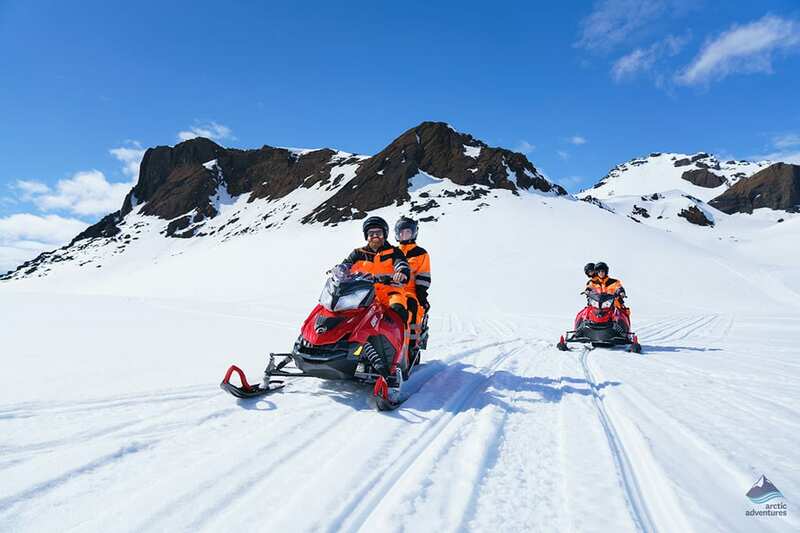 The Snowmobiling and Ice Cave tour is a 2 for 1 as you snowmobile to the extraordinary ice cave where you get to enjoy the magic of Icelandic nature before returning, all on an exciting snowmobiling trip. The perfect day spent in Iceland. 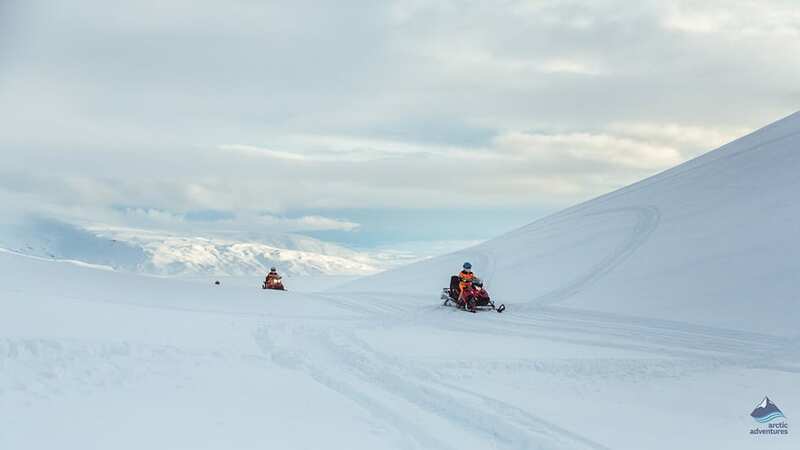 Langjökull is impassable by a regular car and the road can have heavy snow well into summer so Super Jeep or larger vehicles are the best options to safely get you to the glacier. 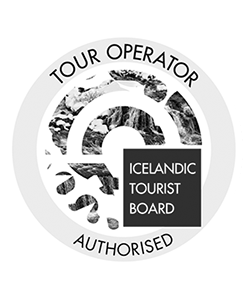 Great Super Truck tours are offered with expert guides that take you to all the safe places and know the glacier inside out. 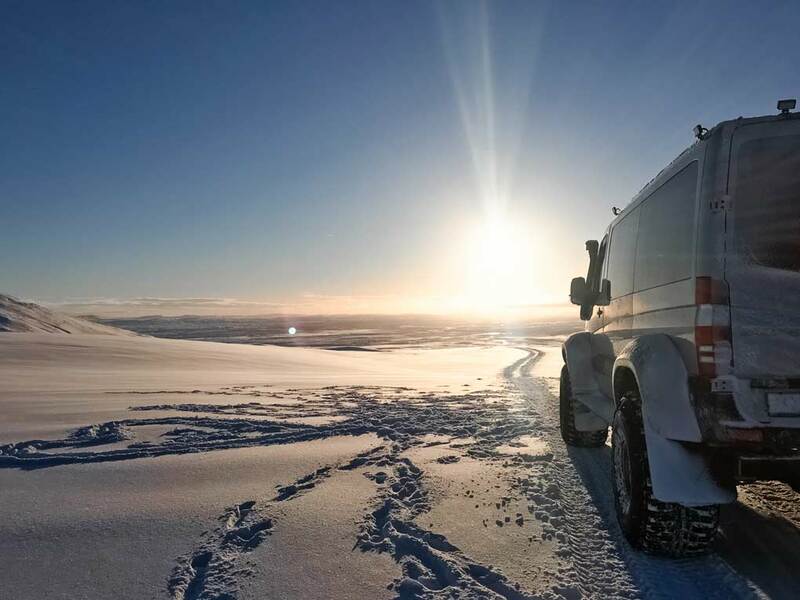 Driving on a glacier without any experience isn’t recommended as crevasses and overhangs are everywhere so it is a lovely worry less experience to have an expert guide do the reading of the terrain for you. 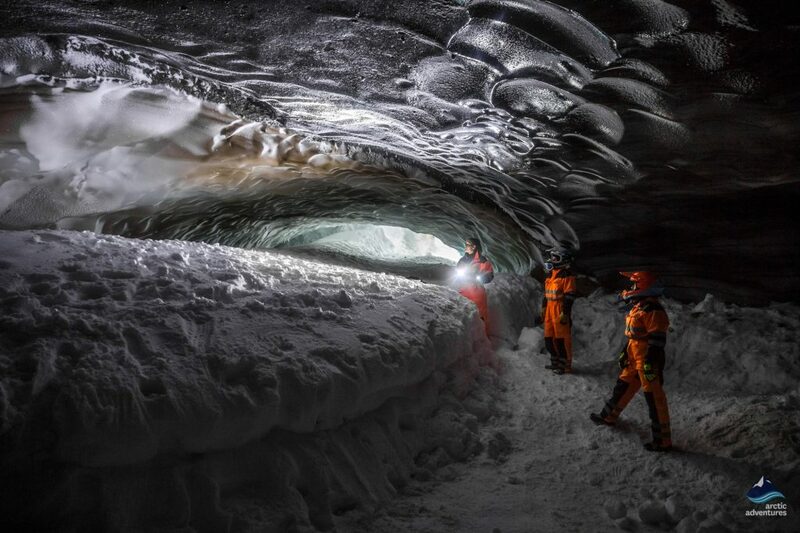 The largest man-made Ice Cave in the world made into the famous Langjökull glacier. 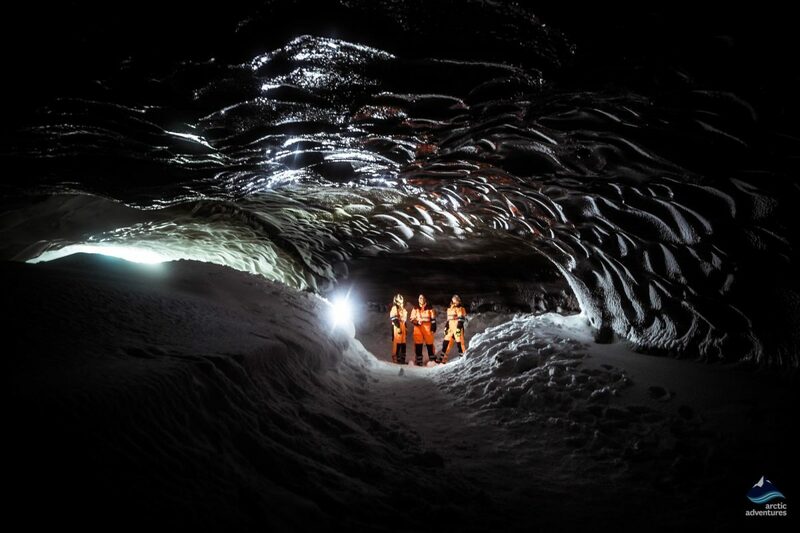 Take a Super Jeep tour from Reykjavík or meet at Húsadalur to go on this epic walking tour through this ice tunnel. Dress warmly! 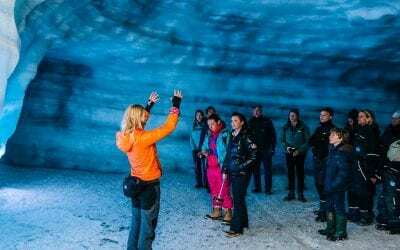 In recent years Langjökull has become somewhat of an ice cave paradise with more than one ice cave to choose from each season and the added value of the glacier being the closest to Reykjavík. Ice Caves are very weather dependent and it’s hard to tell how they will appear, or if even at all. 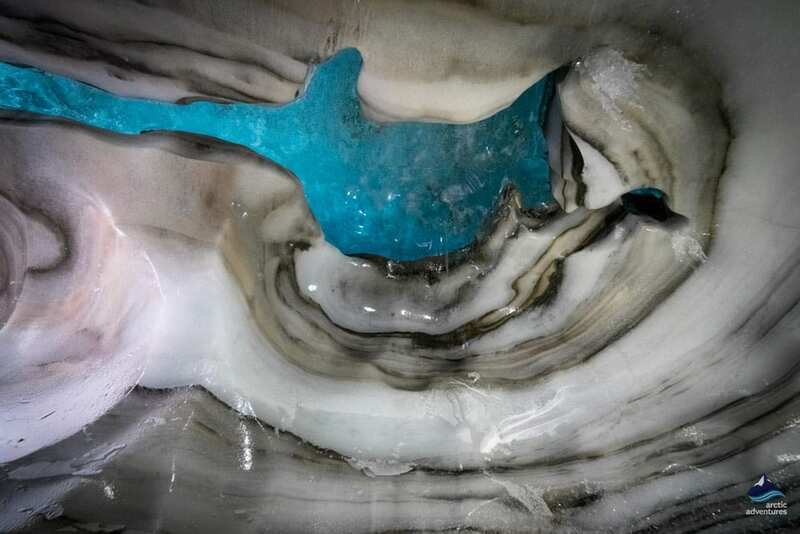 This Ice cave was first famous for its ice neon blue frozen river in the ceiling and later for its frozen waterfall. 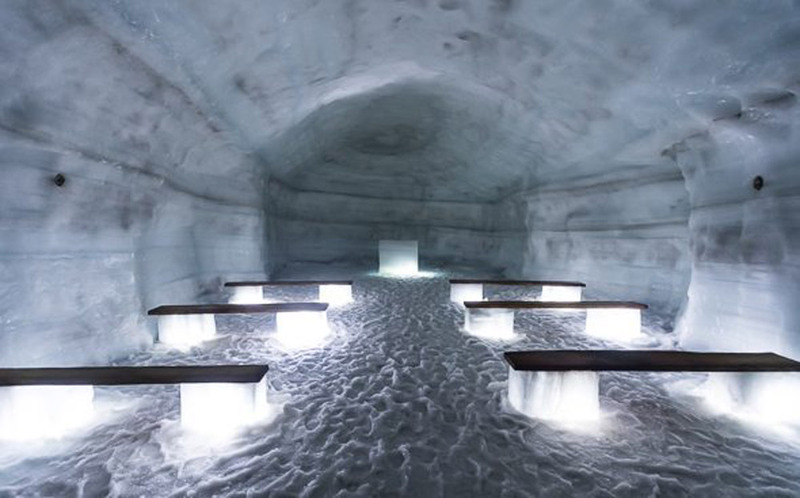 The Ice cave changed a lot during its first year and had to be monitored closely. 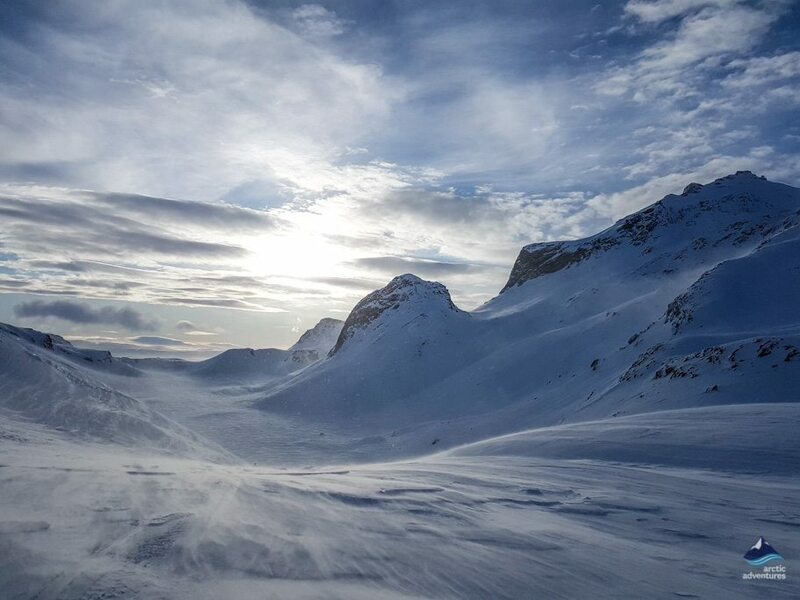 The ice cave is located right under the Jarlhettur mountains adding even more uniqueness and beauty to its presence. 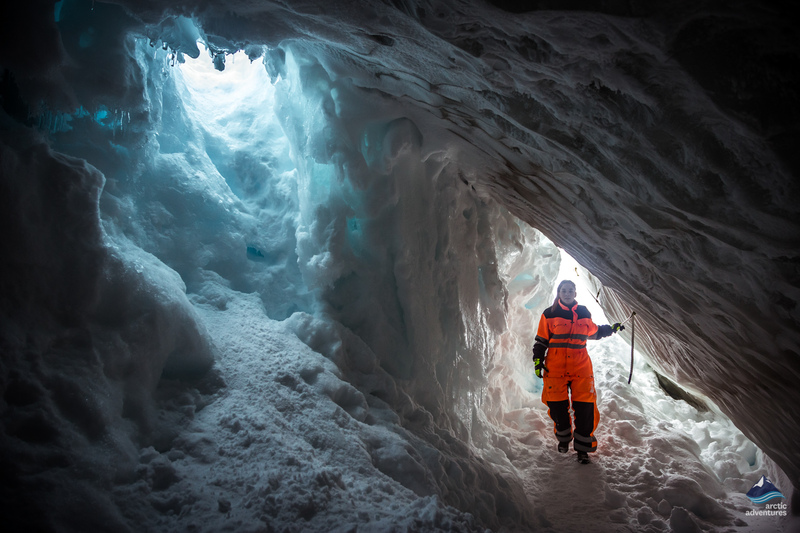 When stepping down into the cave you can make a right into a larger area where the frozen waterfall resides or to the left where there seems to be a narrow but endless tunnel with stunning colors and exquisite ice layers. 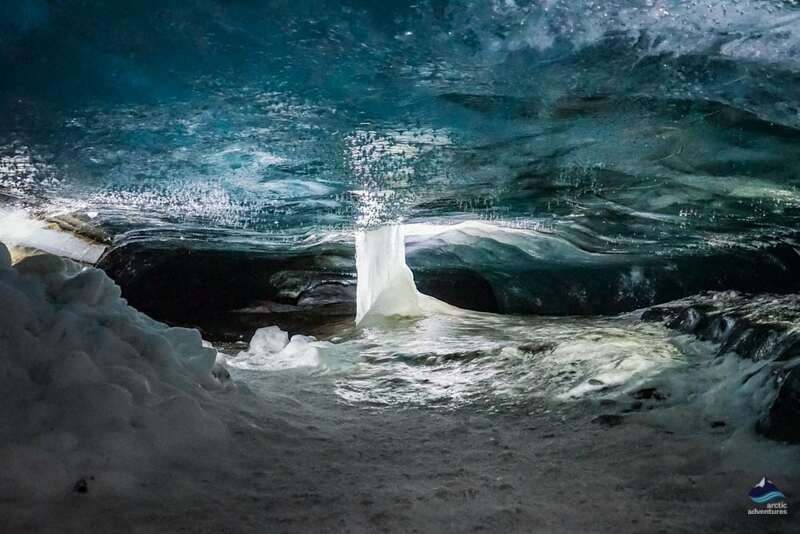 Fun Fact: This is the only ice cave known to have been used for a diving expedition. 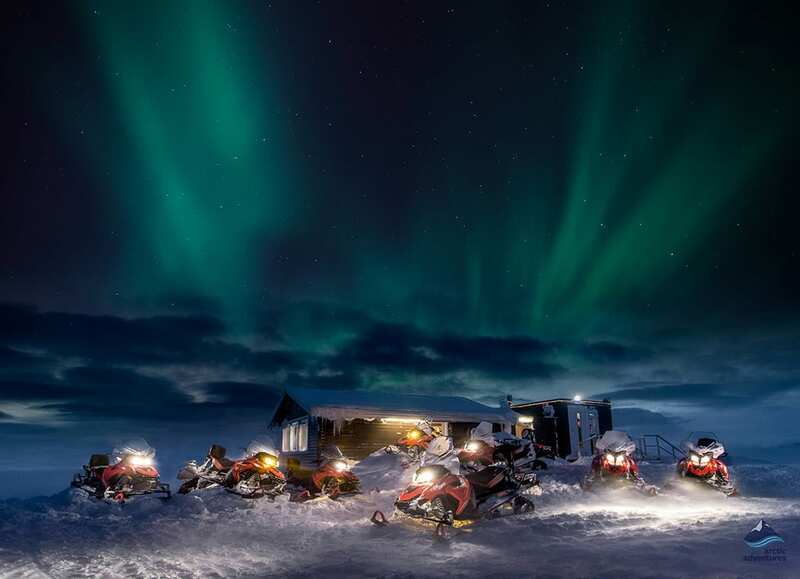 A few of Arctic Adventures best divers snowmobiled to the glacier and remarkably dove the ice cave making world history in 2018! 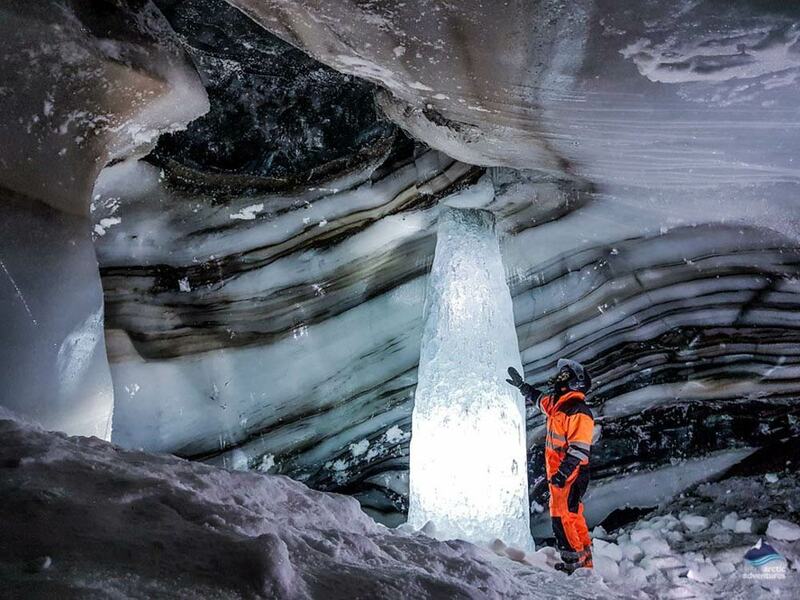 This Ice Cave is no longer safe to enter, has almost collapsed as a whole. It was passable for a long time but in its last year was well closed off and you had to slide into it. 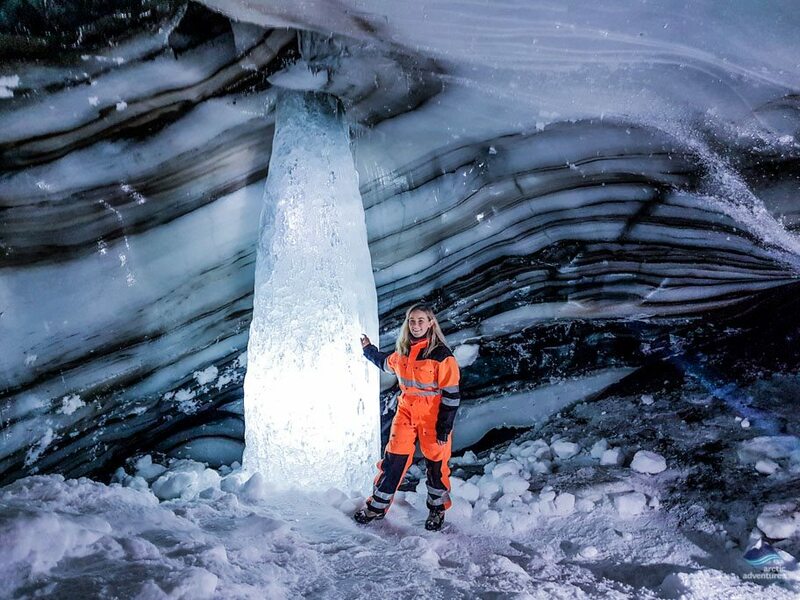 Since it was higher on the glacier and deeper into the ice light didn’t shine as brightly through it resulting in no blue colors, but, it glistened beautifully and was quite large. 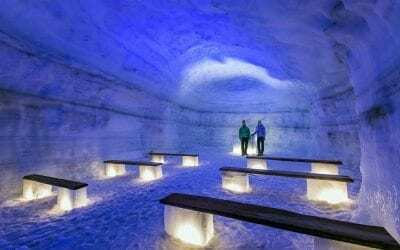 The largest man-made ice cave in the world is found at Langjökull with an inbuilt church and stunning layers of the ice what tell you a lot about Iceland’s interesting volcanic and geological history. Easily accessible and doable for all ages. Langjökull also feeds a lot of the hot spring in Borgarfjörður valley including Europe’s most powerful hot spring Deildartunguhver. 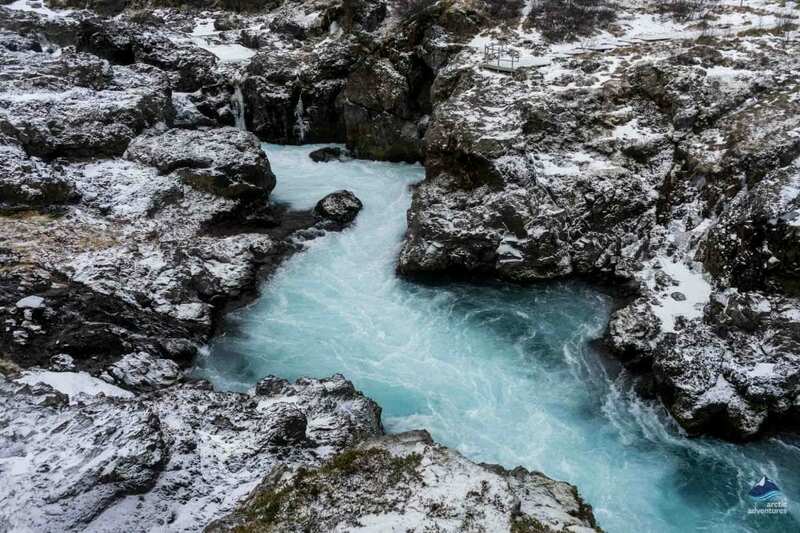 The river Hvítá which is famous for being the best River Rafting river in South Iceland also takes its water from Langjökull and so does lake Þingvallavatn. 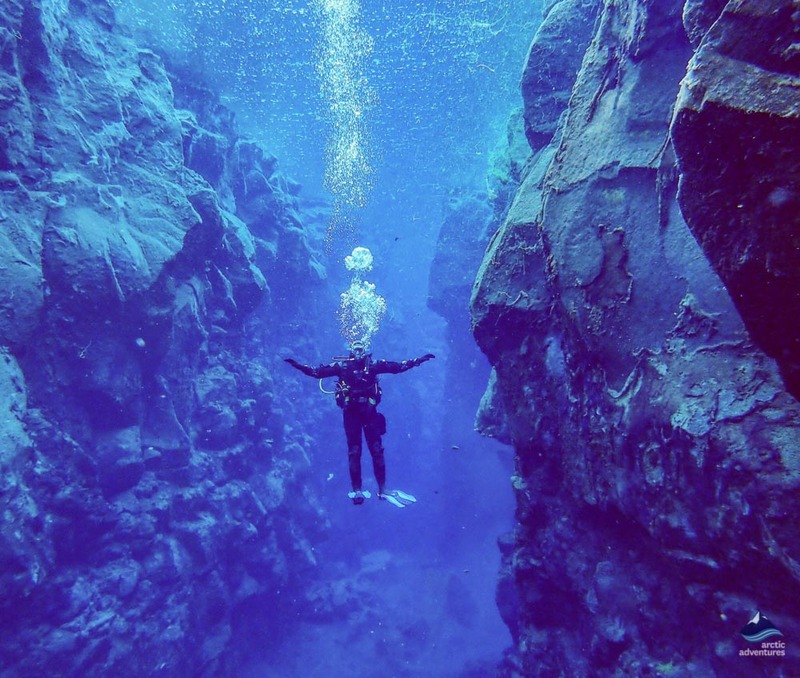 Silfra fissure is one of Iceland’s most famous Landmarks. It’s where you can go snorkeling or diving in between the North American and the Eurasian continental plates. It’s located in Thingvellir National park and is truly a rare and unique geological wonder. When the rifts started moving apart the fissure filled with glacial meltwater that had filtered through a porous lava field for about 100 to 200 years. This means that the water was incredibly clear and the visibility without comparison. The water, originated at Langjökull glacier and does still today. The glacier feeds the fissure which might come as a surprise to many as Silfra and Langjökull are more than a 50 km (approx. 31 miles) apart. Oblivion (2013) has some scenes shot at the staggeringly beautiful Jarlhettur e. Earl’s Hat that sits right next to Langjökull and the view is of Langjökull in the film. 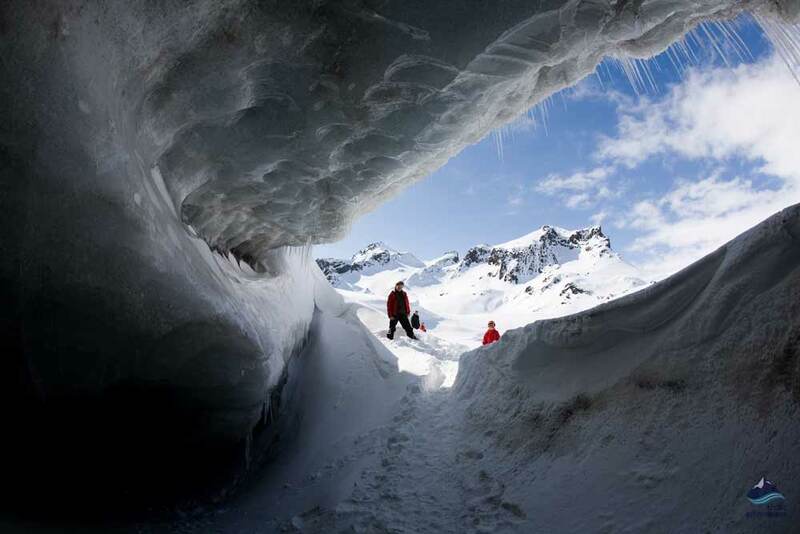 One of the Natural Ice Caves found at Langjökull was right under the newly famous mountains. Here you can see more about the filming there. The Iron Giant (1999): The final scene of the cartoon Iron Giant takes place on Langjökull although the name of the glacier, which appears in large letters across the screen, is misspelled “Langjoküll” instead of the correct spelling which is “Langjökull”. Mist – Hot Property (2017) The UK rapper Mist shot his music video for the song Hot Property at Langjökull glacier where he and his crew drove snowmobiles around with guides from Arctic Adventures on a private tour. 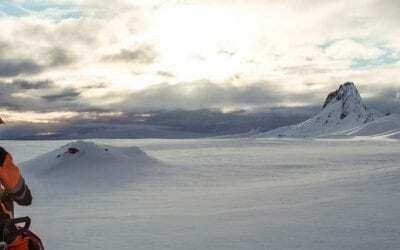 David Guetta ft. Sia – She Wolf (2012) The wolfs running and the dog sledding part of the video is taken at Langjökull and many of the Eskimo/Viking parts are in the area surrounding the glacier. Travel on your own! It’s very important that you don’t. 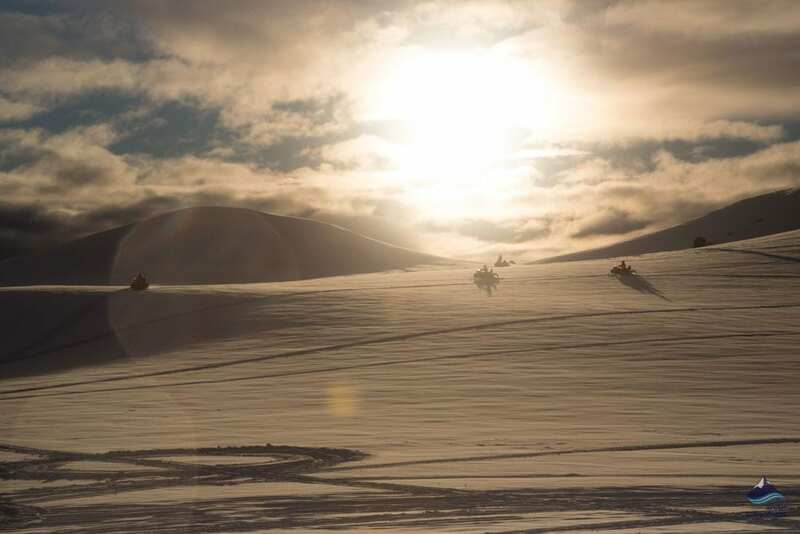 The area is known for fast changing weather and as it’s quite low both snow and sand blows around on the glacier. 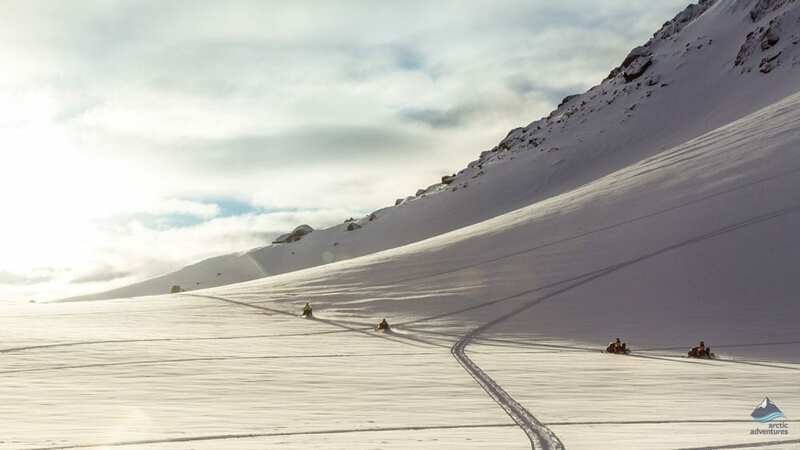 There are many ways to explore the glacier with tour guides, snowmobiling, by helicopter or with knowledgeable drivers on monster trucks and that is how it should be done! You need great experience to be able to follow highland tracks. Litter! It’s very important that you don’t litter whilst exploring this white winter kingdom. 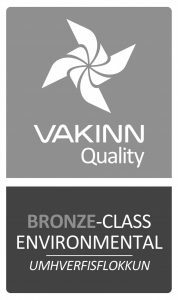 It is extremely clean and stunning and we would like to keep it that way. Geysir Camping Ground is situated within a walking distance from the great Geysir. 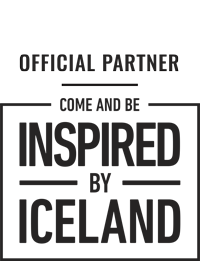 Facilities on site include showers (500 ISK), toilets, electricity (900 ISK), washers, WIFI, a golf course & a playground. The price is 1800 ISK per adult per night. 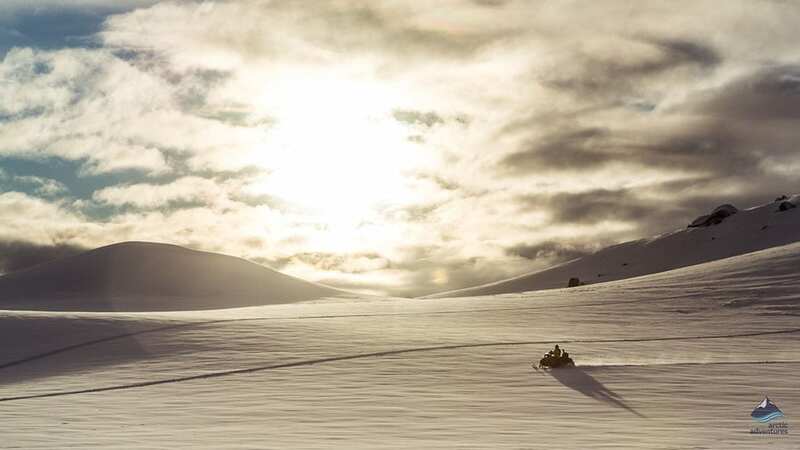 Open from the 15th of May – the 15th of Sept.
Geysir, Gullfoss waterfall, Thingvellir National Park; add glacier Snowmobiling to get a more adventurous Golden Circle experience! 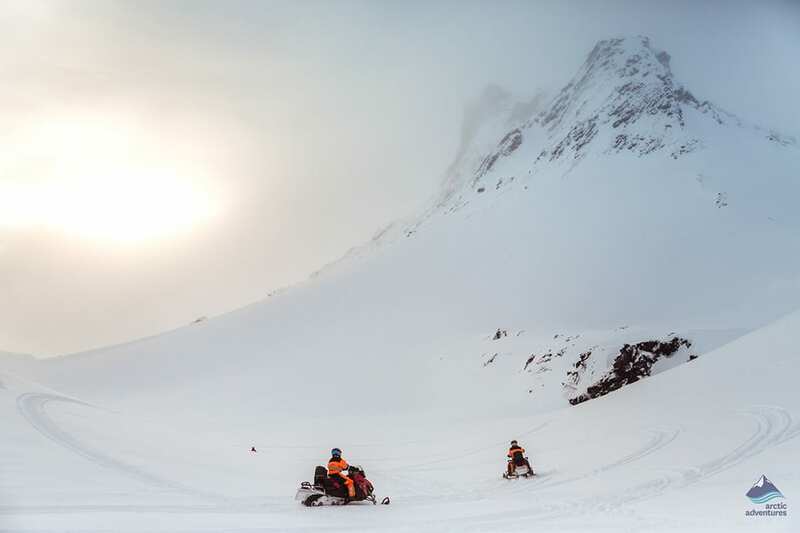 Glacier exploration at its most exciting. 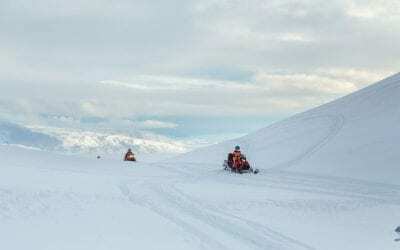 1-hour snowmobiling adventure ride on Langjökull glacier directly from Gullfoss! 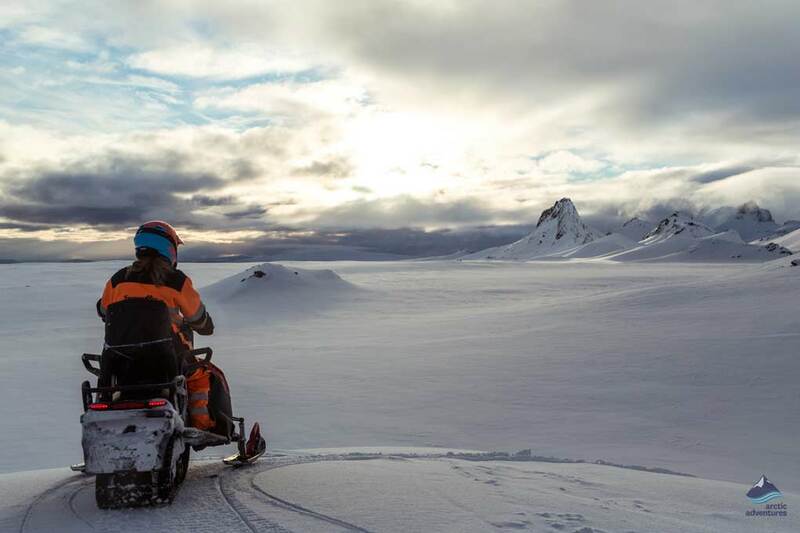 Check "Glacier" off your bucket list in the most exciting way possible on this glacier snowmobile adventure from our Langjokull basecamp.